With regards to construction, we could say that a lot came from the Roman brick. Bricks came to symbolize structural wall-bearing construction and became permanent forms for concrete, which the Romans developed, as can be seen in Trajan's Forum. We see brick facades detailed with arches of brick. Lintels and other trim items were of travertine. But the brick was merely a facade, used as formwork for the concrete poured within. And bricks became an arch, and a simple arch became a double arch, then a grand forest of arches; the power of basic design, so long forgotten amidst the centuries of maladjusted imitations in more recent times. That power of structural design, perhaps emanating from the twins themselves, Romulus And Remus, can be seen in the original ruins of Rome. 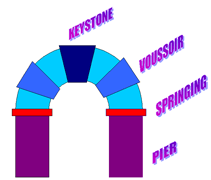 Basic components of an arch. 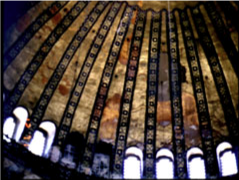 Vaults, domes, and the use of concrete became the basic building blocks of the Romans. Rome began with the post and lintel but developed the arch. Roman arches were semi-circular, made of brick, and were used to either create openings, or to divert weight away from those openings. It is not uncommon to see rectangular windows and doors, with arches placed in the walls above, diverting the weight of the upper portions of those walls to the sides of the openings below. 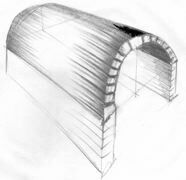 An arch in continuity becomes a barrel vault. Picture half of a barrel. Also, take a piece of paper and curve it by holding each side, popping up the middle, forcing that flat piece of paper to become a half-barrel. Purpose here being to create a column-free space. 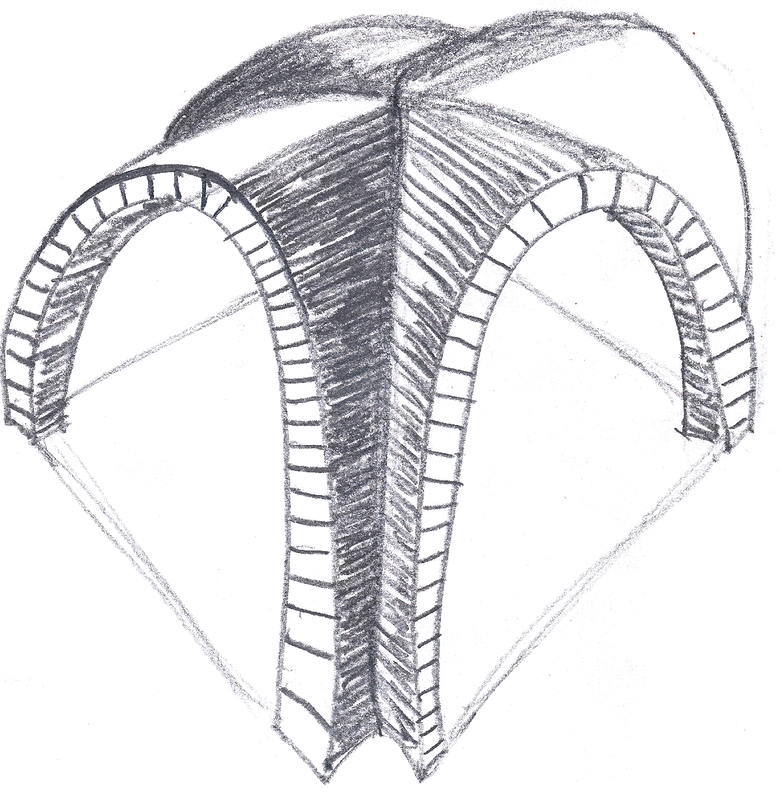 Crisscrossing two arches becomes a groin vault, taking its name from the intersection of your thigh with your torso. Purpose again to create a space free of structural supports. Take an arch and rotate it 360 degrees and you have a dome. Concrete was developed by the Romans to expedite construction, by saving material and money. It was made from a mixture of sand, small stones (aggregate), water, and cement made from volcanic residue. Realize that volcanoes spew out "cooked" stones. These materials have had their water boiled out of them. By reintroducing water into the above mix, we get cement acting as a paste, which literally cements everything else together. Do understand that cement is an ingredient in a concrete mix.